← One step backwards, two steps forwards …. Our family got together for a week in a cottage outside St David’s in Wales before then. Lots of great scenery and experiences to enjoy, but what sticks in the mind? Sitting down together one evening to watch the DVD of “Despicable Me”, the animated feature that introduced us to Minions, the cute little henchmen of the central villain. Our little granddaughter (9 months old) has a very fetching Minions swimsuit! Especially considering their colour, I just had to make a Minion of my own – so here you are – and a few more views on Flickr as well. 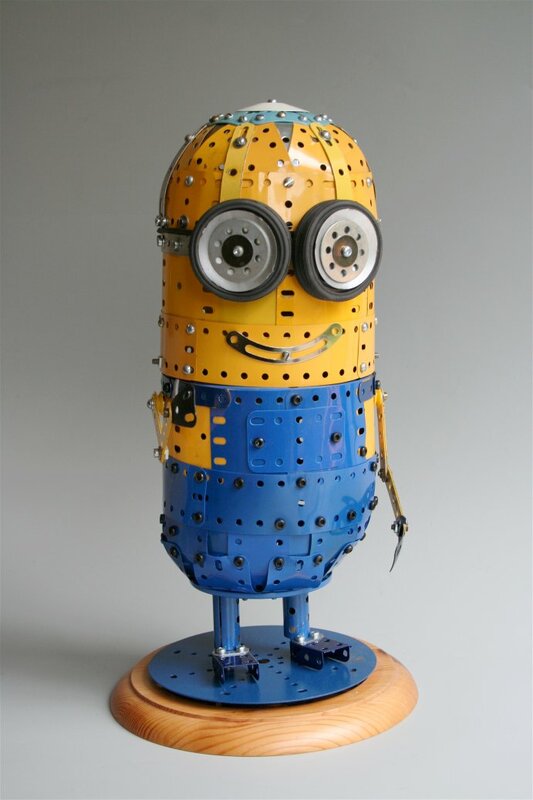 This entry was posted in Uncategorized and tagged Despicable Me, Meccano, Minion. Bookmark the permalink.